hey all! i hope you are starting to feel in the holiday mood, aka happy, generous and thankful. i've been doing my upmost to get into the spirit of the festive season, even though it hasn't snowed like last year, and it's not even december 1st yet. don't judge me, i just l.o.v.e. Christmas. there are poinsettia's in the house, i've begun compiling this year's holiday playlist, i've been to the local Christmas lights switch on event, and i attended an advent 'darkness to light' procession at Salisbury Cathedral - incredible! with 1300 candles and beautiful choral singing, i felt very festive indeed. so, i haven't bought my presents yet, not even close really, but i have got a list, which i feel is pretty good going. every year i say i'll do it early, but i never really get round to it. at church yesterday i talked with several women who have already wrapped all their gifts...impressive organisation or what?! 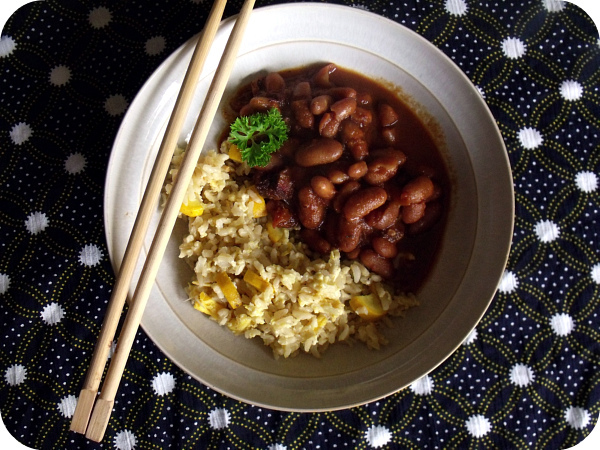 ♥ paprika molasses beans with egg fried brown rice and courgette. you may ask 'why alissa, why on earth, would you make homemade beans when you can buy them for 26p from Lidl?' - the answer is because a) they are delicious, b) i never have before and c) it's good value for money if you make a lot. making baked beans in a slow cooker is quick and fun, and so much more flavourful than a tin - yes, even an expensive Heinz tin. it's pretty simple to do, with the help of the beautiful as american as apple pie cookbook that i picked up for £1 at a charity shop last month. or, there's a beautiful recipe for Boston beans at just hungry, which is very similar to the one i used, except i added some smoked paprika, Worcestershire sauce and applesauce, and swapped the ketchup for tomato puree and a little red wine vinegar. 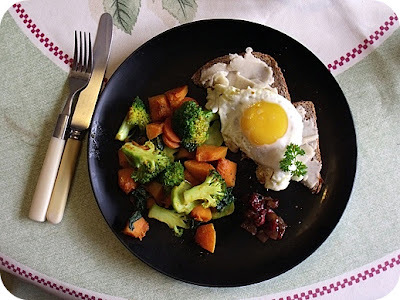 ♥ curried carrot, sweet potato and broccoli with a fried egg on cranks organic wholemeal with butter bean paste, and a little chilli chutney on the side. ♥ butternut squash mac and cheese with spinach and chopped salad. this is such an awesome recipe - i mixed my butternut 'cheese' sauce with some cooked butter beans for extra protein. yum. ♥ the local Christmas lights switch on event - there were loads of people, and christmas songs, and gorgeous fireworks. a lovely occasion to be part of, and officially the start of the season for me! what's your favorite christmas song? have you ever made your own baked beans? Awesome eats! Everything looks delicious. :) I'm definitely already getting into the holiday mood, and nope, I've never ever made my own baked beans. That's definitely something that's going on the bucket list. I love Christmas and looking around the Continental market in Newcastle at the weekend put me right in the mood! I must get that She and Him Christmas album, sounds wonderful! As for Christmas song my favorite is "Oh Holy Night" hands down. I love Christmas, just like you, and I just like to prolong the joy as long as possible. 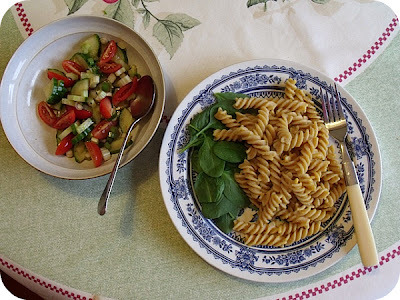 I am so glad to have found your blog, it is lovely. I adore Christmas and this time of year...so much fun!